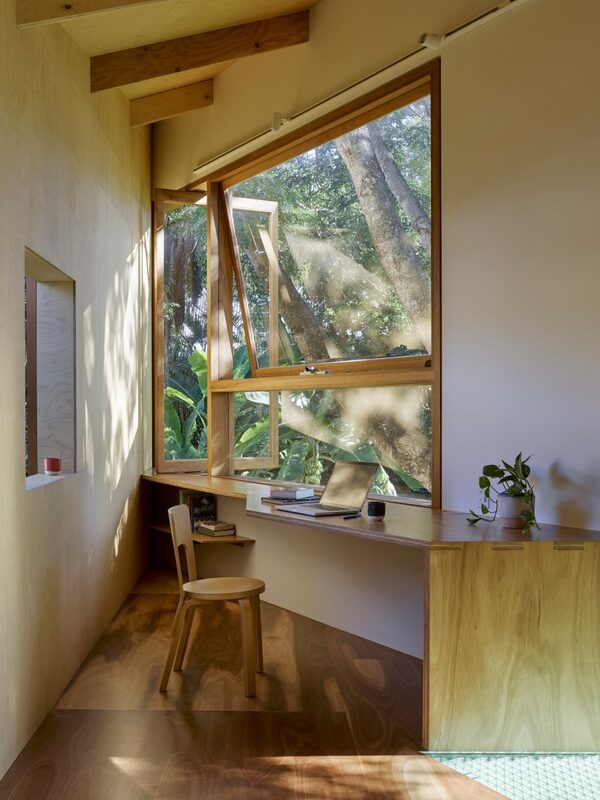 A climbing wall, a study and a bedroom are all contained within this Brisbane house extension, designed by Phorm Architecture + Design to be reminiscent of a treehouse. 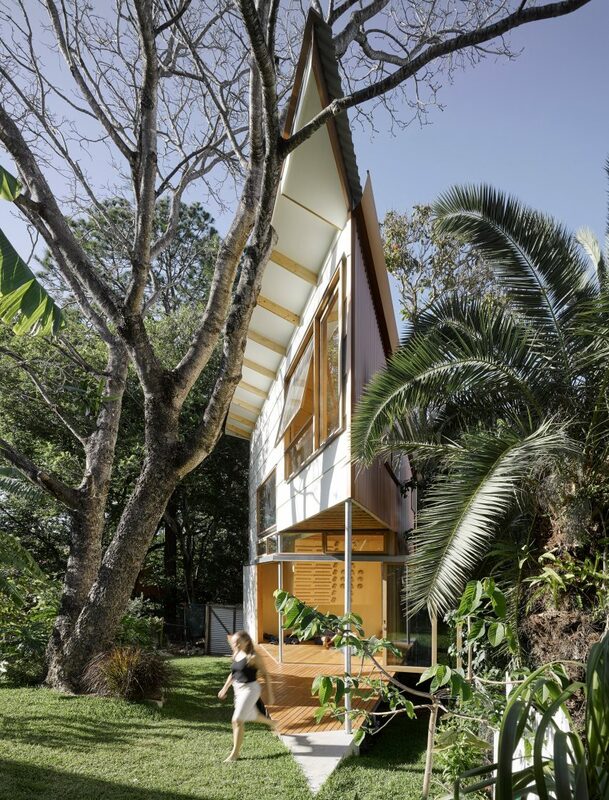 Described by the studio as a “detached residential extension”, the Taringa Treehouse is built under the shelter of a tree, in the backyard of a property in the Queensland city. 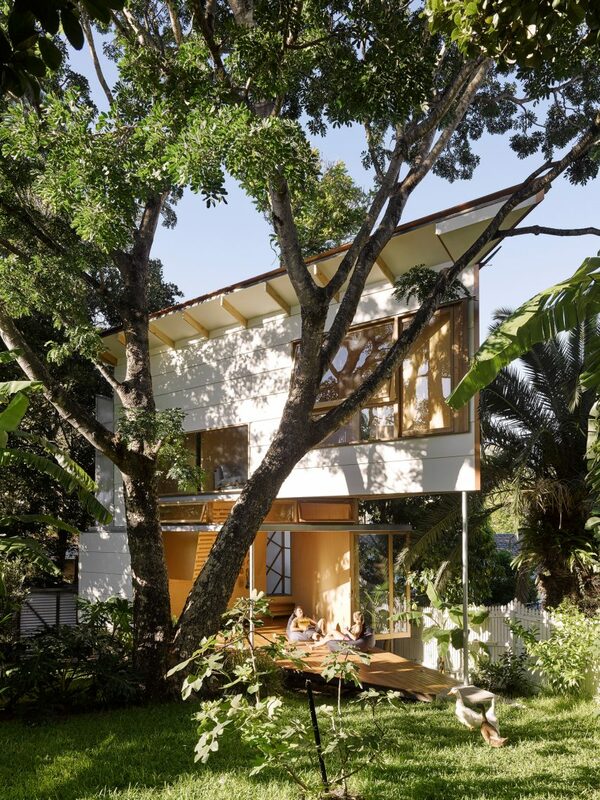 The tree is one of a row that divides the yards in the suburban neighbourhood – and prompted the treehouse-inspired design. The wedge-shaped structure presents its broadest sides to the neighbouring properties and its narrowest towards the owner’s home and garden. In an effort to reduce the impact of the structure further, a ground-floor patio is cut into the tip of the two-storey structure. “Brisbane is a verdant, subtropical, suburban place. House lots are typically long and thin. 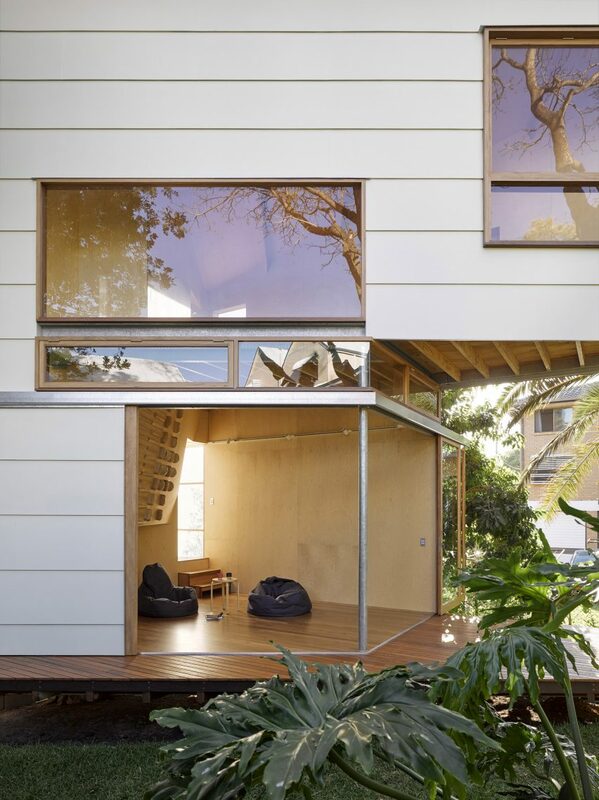 Traditional timber and tin houses (Queenslanders) politely occupy the street edge and create largely unoccupied spaces at the rear,” explained Paul Hotston of locally based Phorm Architecture + Design. “These backyards tend to be overgrown, unruly spaces and are the domain of children and makeshift structures. The treehouse is devised as an invitation to visit and engage with this distinct yet typically unchartered territory,” Hotston continued.